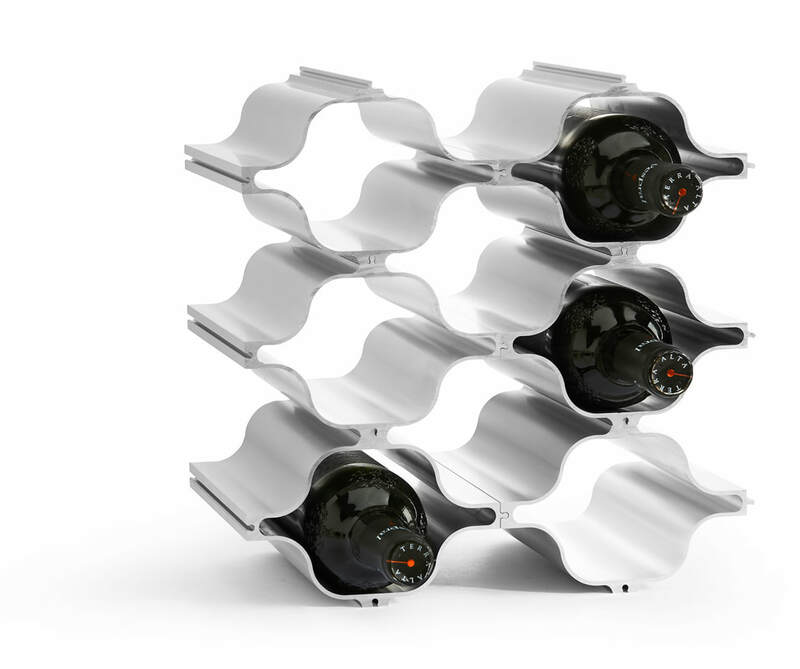 Our winerack is launched November 2018. We are very proud to present this amazing interior decoration item. 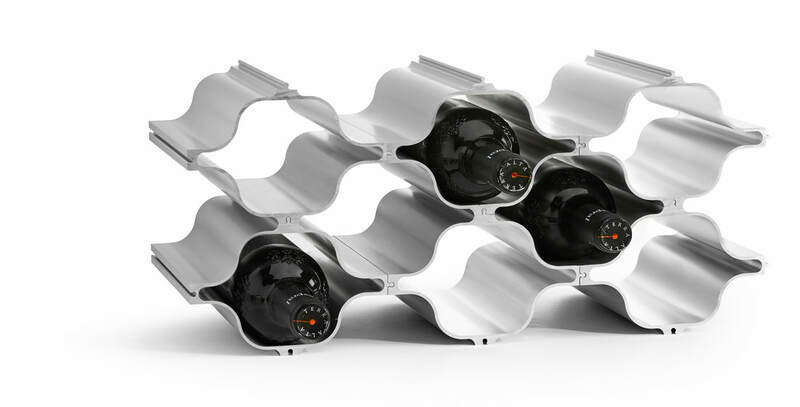 The winerack consists of modules that slide into eachoter. This way you are free to combine it the way you prefer. There is also an option to hang it under a cupboard or a shelf, for another look. 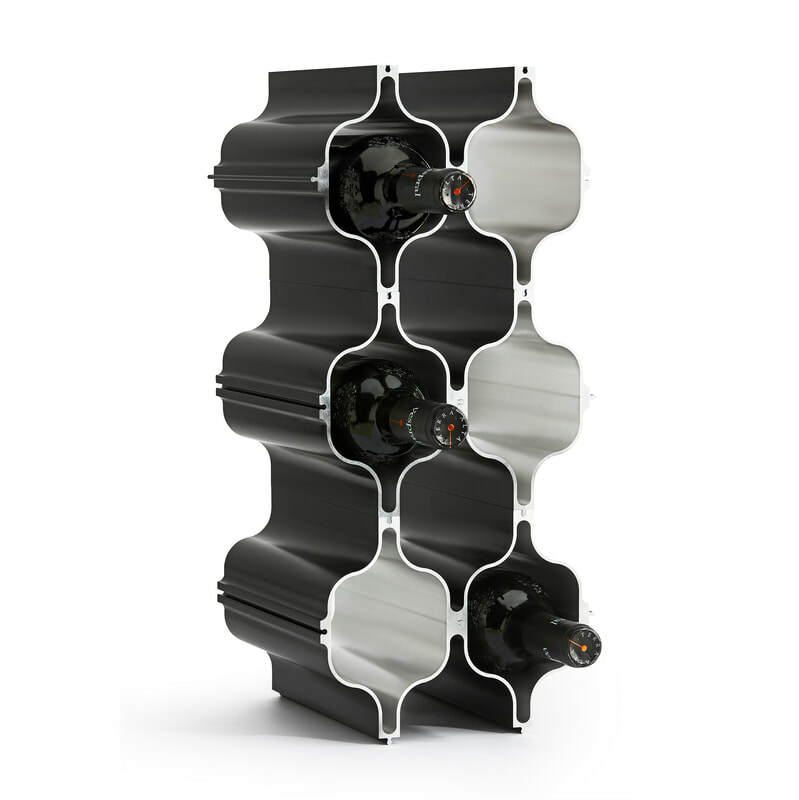 You can choose between solid aluminum color, or anodized black or anodized bronze. 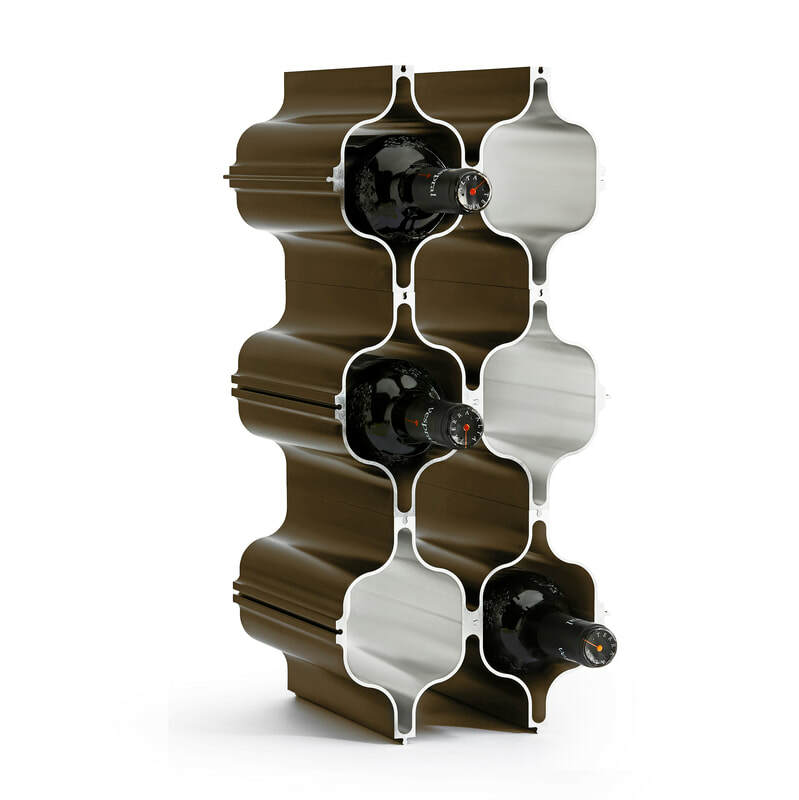 Both black and bronze are aluminum colored on the inside.